Home / Funeral Resources / What do I need to buy from the funeral home? Most people do not realize that you can shop around for just about every product and service related to a funeral. Even after you decide on a funeral home, you do not have to purchase every product or service through them. When you know your rights and options, you can save quite a bit on expenses and also better tailor the funeral to your family’s preferences and situation. This is not to knock on funeral homes. These are wise, experienced professionals who know what they are doing and can serve you well in a time of great need. Almost always they are the type of people who are ready to give and serve, in many cases being drawn into the profession after experiencing the death of a loved one. Others are seasoned veterans who have worked in their local family-owned business for years, with multiple generations serving the community. Still, you can often get a more personalized experience at a lower cost by simply being aware of your options. 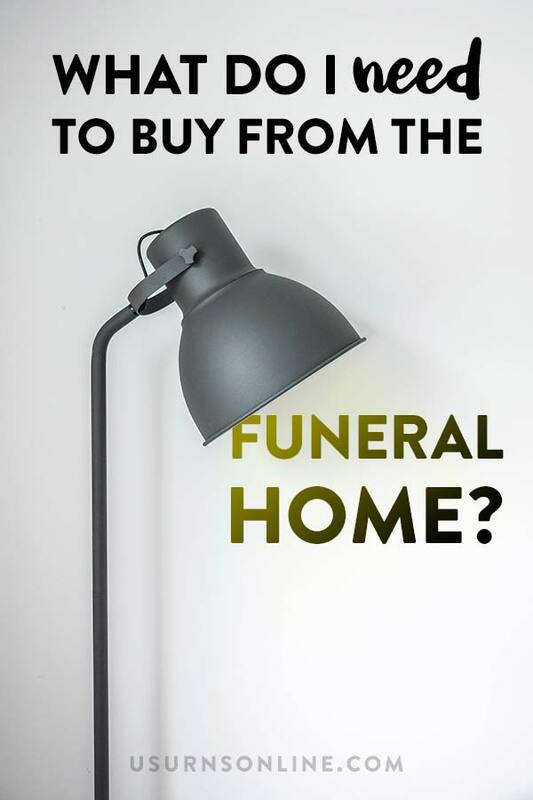 So here we address the question, What do I need to buy from the funeral home? And what can I buy elsewhere? We will also consider cemeteries and crematoriums. Each service provider has their own set of necessary and optional expenses. Let’s take a look. Please note that this post includes affiliate links. This means that if you were to buy something after clicking on one of our links, we might get a commission (at no cost to you). See our full disclosure here. That’s it! Everything else you can shop around and try to find a better price or a more ideal solution. You can DIY parts of the funeral, incorporate “green burial” practices, or use multiple vendors. Keep in mind, however, that funeral directors can provide a very valuable and welcome service. 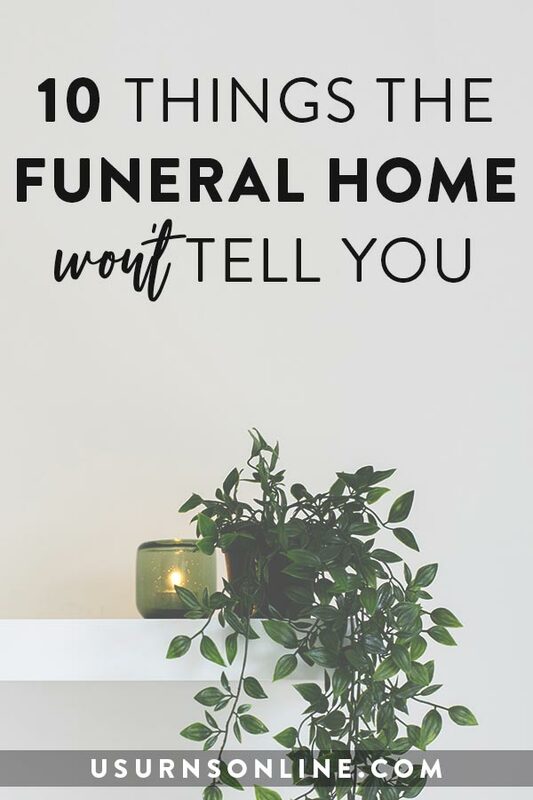 You may pay a bit more by going through the funeral home for many or most things, but it can be a lot easier and less stressful to have it handled by a professional. You will probably want or need many of these items and services. Note that you are not required to purchase any of them through the funeral home. You have options, including taking care of things yourself, purchasing products on the internet, and arranging transportation, flowers, service and reception venues with other vendors. These are charges that you must pay to the funeral home and cemetery for their services. They are providing you with their time, expertise, and the use of their facilities, and they must be compensated for it. You can shop around for a funeral home and choose the one you like best. This can be based on costs, services available, the friendliness of the staff, or you simply prefer one over another. After your initial phone conversation or sit-down appointment, if you decide to go with the funeral home they will charge you a basic services fee. This fee will typically cover services like planning the funeral, making arrangements with the cemetery and/or crematorium, and obtaining the necessary legal documents like death certificates and burial permits. The only way to avoid this fee is to skip the use of the funeral home entirely. Unless you are a hands-on and dedicated DIY-er, we do not recommend this route. Funeral directors are experienced in getting all the little details just right, and it is almost always well worth the fee. There are many additional products and services offered by the funeral home, and all are optional. The key to remember is that you are paying the funeral home to help you. Often, buying through the funeral home is worth it because of the time and stress benefits you receive. Having the funeral director arrange everything may cost a bit more (not always, but generally) but doing things that way saves you much time, effort, and stress. If that sounds good to you, it is totally worth it! If you are cremating the body, you will have to pay for it. Pretty obvious, right? You can have the funeral arrange this, but you might be able to save a bit by working directly with the crematorium yourself. The lowest-cost option is direct cremation. This means that, after death, the body is taken directly to the crematorium and cremated simply. No funeral home, no preparation for a memorial service, no casket. Just cremation. If you choose to have a funeral and work with a funeral home, you can still get the cremation done independently. Shop around first; sometimes the funeral home will upcharge, other times they will have an arrangement with the crematorium and going through them will actually be less expensive. In any instance, you should be able to get a cremation done at about the same cost as direct cremation. Optional additional charges can include a casket for the cremation, an urn, and transportation of the body. You can decline the first two and they will use a simple cardboard casket for the cremation and give the remains to you in a simple plastic or cardboard box. They call this a “temporary urn,” but you can of course keep the remains in there permanently if you like. The remains or “ashes” will be inside that box in a secure plastic bag. As for transportation of the body, there are some legal and practical issues with doing it yourself. You need a permit to take a body across state lines, and most people are uncomfortable with the practicalities of transporting a body in their own vehicle. There are third-party services available in many larger cities, but often it is easiest to use the transportation services available from the funeral home, crematorium, or (sometimes) hospital. Additional products you can purchase elsewhere: Casket for the cremation, urn for afterwards, transportation to the crematorium. The cemetery is another one with a fairly obvious basic charge. You will need to pay for the burial location, whether it is a full body cemetery plot, a ground burial spot for the cremation urn, or a niche in a columbarium. There will also be a few additional fees at the cemetery. Typically cemeteries will charge grave opening and closing fees (this is the expense to hire workers to dig up the plot then fill it in). They may also have a line item for perpetual care of the grave site and/or general cemetery grounds. Any of these may be included in the basic charge, or they may be listed separately, so be sure to ask beforehand so you are not surprised with a higher total than expected. You can compare costs at different cemeteries for these charges, but anywhere you go the cemetery will need to account for these costs so it will be included in some way in your burial package. Additional products you can purchase elsewhere: Casket, urn, casket liner/vault, urn vault, grave marker or monument, flowers and other gravesite decorations. See below. What products can I buy elsewhere? The funeral home has your most complete options for body transportation. They have the vehicles, experience, and legal documentation to do it simply and easily for you. For a price. To save, you can transport the body yourself. Regulations vary by state, so this may or may not be a feasible option in your area. There are also third-party transportation services and many crematoriums and cemeteries have options available. The main point is that you can shop around for a better deal if the price at the funeral home seems high. Embalming is not required by law except in rare instances, such as crossing state lines in Alabama and Alaska and a few other infrequent cases. If the body needs to be preserved for more than a few days, here are some alternative ideas. You do not need to purchase a casket from the funeral home or the cemetery. They will, of course, have a selection of readily available caskets, and to purchase through the funeral home is simpler than ordering your own. However, you can also find a broad selection caskets online or made locally for much less than what the funeral home has to offer. 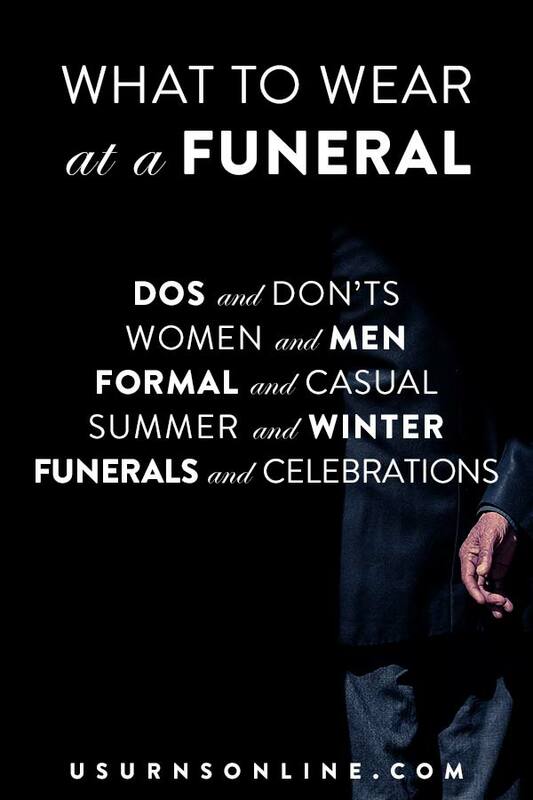 Get some options and prices from the funeral home, then shop around. Most cemeteries require a concrete vault or liner to keep the ground from caving in as the casket or urn deteriorates over time. This is typical. You may find cemeteries or sections of cemeteries that do not require one, and there are a growing number of “green” cemeteries across the US that encourage natural burial with just a shroud or a plain wooden casket. Aside from those exceptions, in most instances expect to pay for a casket liner or vault. This ensures that the cemetery grounds continue to look great long into the future, which is desireable for everyone. Just avoid the “casket gasket scam,” in which they sell you an expensive gasket or seal that is supposed to protect and preserve the casket. Usually the cemetery will have a reasonable cost for the liner or vault. You can still shop around for local independent contractors and suppliers to provide a liner, and you may be able to find more options by checking other cemeteries and funeral homes. Caskets and cremation urns are similar in many ways. The funeral home will have several beautiful options ranging from very high-priced down to “budget-friendly” models. 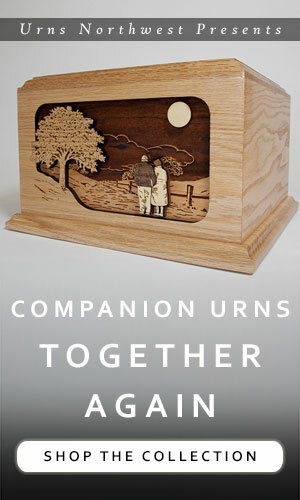 You can, however, find many more lovely urns online, often at much more affordable prices. 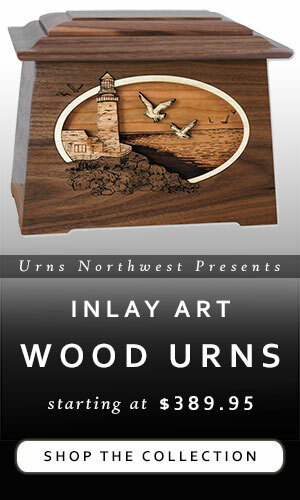 At Urns Northwest, we sell many of the same cremation urns you will find in funeral homes for hundreds of dollars less. There are many other online sources for cremation urns, such as Amazon, but most of the items you will find on major marketplaces such as Amazon or WalMart.com will be cheaply made imports at very low price points. You are not required to purchase an urn through the funeral home or crematorium. The are required by law to accept any cremation container you choose. In most instances they are very nice about it, and will even hold on to the cremated remains for several days while you wait for the urn to arrive. Typically the funeral home will also transfer the remains into the new urn for you, provided you get the urn in a timely manner. Again, most funeral directors are very kind and helpful and will even transfer the remains for you if you purchase an urn months down the road. Just call and ask. Many cemeteries will require a burial vault for the urn to protect the integrity of the grounds. Having a non-biodegradable protective vault ensures that the earth does not cave in as the urn deteriorates over time. However, you are not required to purchase the protective vault through the funeral home or cemetery. You can often find better deals by shopping around locally or online. One thing to be aware of concerning burial vaults: These vaults do not permanently protect the urn and prevent it from biodegrading or decomposing over time. This will always happen. A vault may slow down the process a bit, but it is at least disingenuous and at most an outright falsehood that a vault will truly preserve the urn. Yes, you do not have to purchase the cemetery plot from the funeral home. You can work with a funeral home and have the body buried elsewhere – at a different cemetery, or even in your own property. You also do not (always) have to purchase a burial plot directly from the cemetery. There are times when the funeral home has an arrangement with the cemetery and you may in fact get a better deal by going through the funeral home. It all depends on the local situation, so it is worthwhile to call around before finalizing your purchases. Check out our buyer’s guide, 13 Questions to Ask When Choosing a Cemetery. Cemeteries and funeral homes typically have an arrangement with a local monument maker to provide headstones and other types of grave markers. You might find the best pricing by purchasing a packaged deal (either from the funeral home or the cemetery), but you may also find more options and better prices by ordering separately and directly with the monument company. As with most of these funeral purchases, you’ll typically find the cheapest price by calling around. Do an online search for “monuments in [your city, state]” and you will often find multiple results. You can even order monuments online, and have them delivered to the cemetery. Clear Stream Monuments, for example, is based in Wyoming and ships their headstones and grave markers all over the country for free. They will even contact the cemetery to ensure that everything meets their guidelines. The downside to ordering a monument from another company or online is that this takes time and effort during a very difficult season. If you are in the middle of dealing with an unexpected death, it can be totally worth it to let the funeral director take care of it all for you. Sure, it might cost a little more, but it will be less stressful and will free you up to do more important things, like visiting with family and taking time to grieve. However, if you are making your arrangements ahead of time, we fully recommend calling around and price checking each item on this list, or even shopping online. Funeral homes will often have established relationships with one or more local florists. They will probably take a cut, but it can be worth it just to have one less thing to worry about. But you do not have to purchase the flowers or any other decor items from the funeral home. You are free to arrange or provide your own. 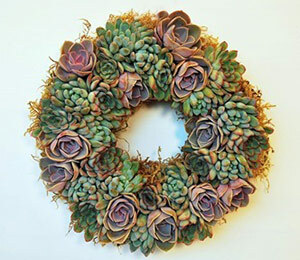 This can be flowers grown in a friend’s garden, purchases from an online vendor, or through your favorite local florist. There are plenty of venue options for memorial service, reception, viewing, wake, and any other gathering. A popular first choice for many is their own home, or that of a family member or friend. Many churches will rent their facilities, and if you are a member sometimes there will be no cost at all. Community centers, banquet halls, hotels, theaters, public and private schools, parks, and event centers are all options to consider. Here is a breakdown of the events for which you need space along with ideas for potential spaces to use. We hope you have found this article very helpful! Here are some more resources to further educate and guide you through the funeral process without going over budget. Next post: Mailbag: How long after death can ashes be used to grow a tree? I like how you said you might be able to find cheaper prices and deals from ordering directly from a monument company. One of my mother’s last wishes was to have a simple but elegant moment erected for her and my father once they passed. We are hoping to find the right one for her specifications, so we are looking for a monument company first. I will try looking at monument companies directly for their prices and deals. 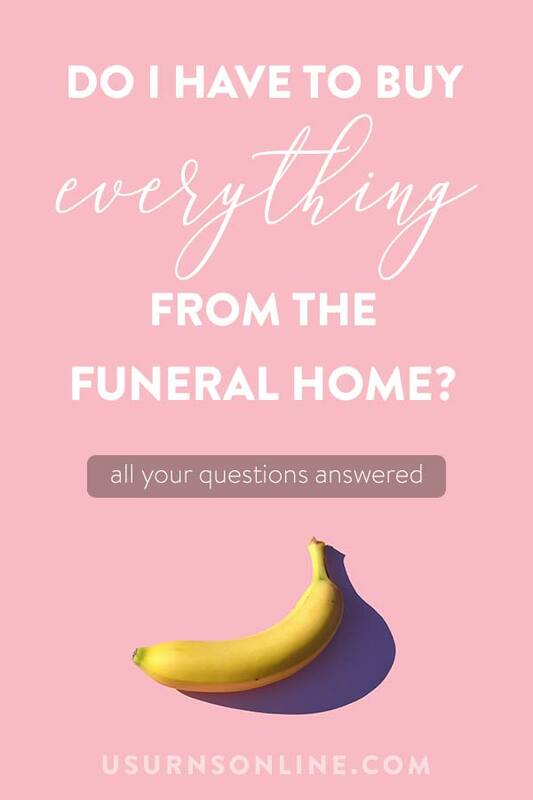 I like the tip that you gave to assess the costs of a funeral home before you hire them. My grandmother died this morning, and I am in charge of finding a funeral home for her service. I will be sure to assess the costs, so I can be confident that we can afford their services.